Google Search is switching from Desktop to Mobile First Index. Gary Illyes announced at Pubcon that Google is switching to a mobile-first index. Google has not yet implemented the new indexation, but is making webmasters aware so they can prepare for the change. No deadline has been given. With mobile searches being over 50% of total searches for a couple of years now, Google feels like this is the obvious move. This change makes it very important for webmasters to check what content they are displaying on mobile. Especially if they have a different mobile version (m.domain) of their website or remove content in the mobile variation of their responsive site. Structured data will also need to be present on the mobile variation. Desktop will still be indexed but mobile will be the freshest and therefore the primary indexation. Google admits that ranking based on links may be an issue in this new indexation as users usually build links to desktop versions of sites. Penguin 4.0 rollout is now complete. 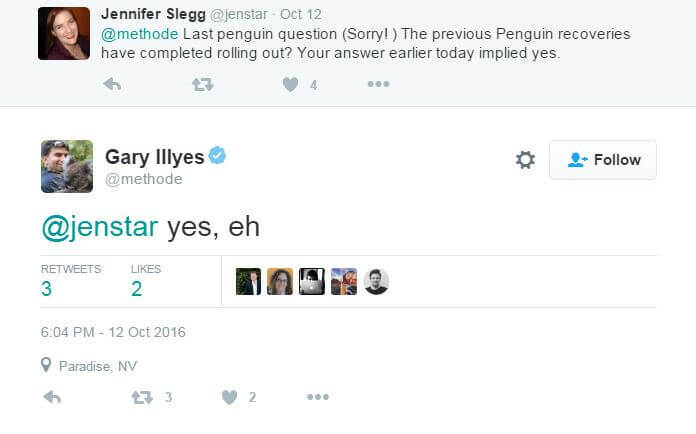 Gary Illyes confirmed on Twitter that Penguin 4.0 is completely rolled out. Gary also confirmed that all websites that had been suffering from any of the previous Penguin updates should have recovered by now. Manual Actions, not Penguin can result in devaluation of all links. Gary Illyes clarified a statement he had previously made about the Penguin algorithm discounting links to a site. Penguin does not have this capability. Instead, manual penalties can result in not only the devaluing of poor backlinks to a site but all backlinks to a site. This is a form of punishment for site’s using manipulative linking practices. Penguin only devalues the poor backlinks of a website. Penguin mostly focuses on link source. Gary Illyes, provided a reminder to SEOs that Penguin focuses primarily on the source of your backlink. The number of backlinks from a source or the anchor text of the link are also important. But, what is most important is the trust and authority of the site that is linking to your own. Spam links from empty profile pages and other manipulative links are devalued by Penguin 4.0. Google Search Console Site Links Demotion Tool removed. In 2007, Google added the Site Links Demotion Tool within the Google Search Console. The tool allowed webmasters to identify webpages on their site that they did not want Google to display as sitelinks in search results. Sitelinks are the additional internal links displayed below a search result (usually as a result of a brand search). Verizon pushing for better deal from Yahoo. Yahoo experienced a data breach in 2014 that impacted over 500 million accounts. The breach was blamed on “state-sponsored” hacking. Verizon is currently closing on a deal to purchase Yahoo for $4.8 billion. But, Verizon has recently claimed that the 2014 data breach qualifies as a “material” event, and implied they may back out of the deal with Yahoo. This would send Yahoo into a panic and is not in the long-term benefit of Verizon. Verizon more likely just using the breach as a way to press Yahoo for a lower acquisition price. 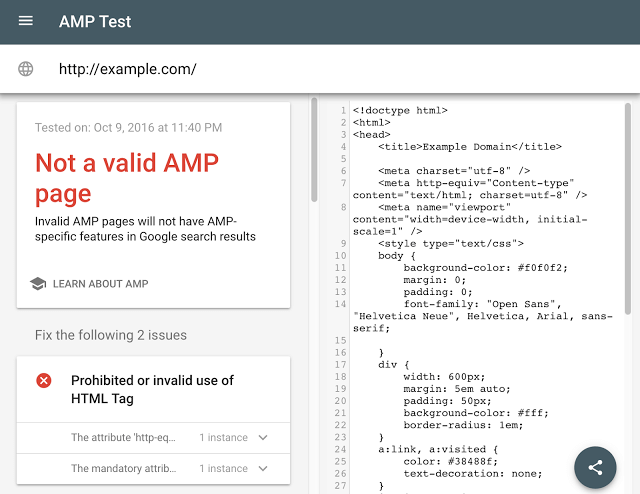 Google updates its AMP testing tool. 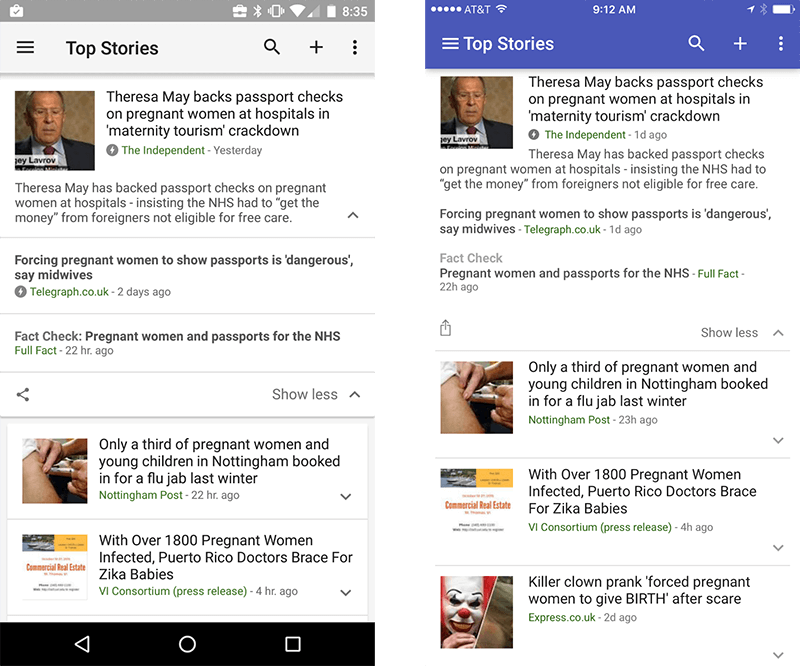 Google’s mobile-friendly testing tool checks the AMP markup and structured data of web pages. Google has enhanced its AMP testing tool. Any issues that are found can now be clicked on for more details and the problematic site source-code is highlighted. A live preview of how the AMP page would appear in the search results is also provided. Google also added a share button at the bottom of the tool that allows users to take and send results snapshots to their coworkers. Google may be working on a way to attribute unlinked citations. Google does not currently have a way to count unlinked citations as a ranking factor for websites. However, based on an interview that Danny Sullivan had with Gary Illyes, Google may be working on the problem. The ability to measure these unlinked citations in aggregate may be in the works, but there certainly is no deadline for the project’s completion. Google does not rate the quality of links by nationality or language of websites. John Mueller explained in a tweet that Google does not rate the quality of a backlink based on the source site’s language or nationality. Having backlinks to your site from websites of different languages or countries is not an issue. The relevancy of the link, the authority and trust of the source site and the natural link behavior are what matter to Google. Acquiring quality links for your website is key, not site language or nationality. The Panda Algorithm demotes/adjusts rankings, does not ‘devalue’. While Penguin 4.0 devalues spam links, essentially ignoring them, Panda demotes spam content by lowering a site’s rankings. If Panda identifies that a website is gaming the system with content, the site will be pushed down in search ranking. Google adds “Fact check” label for articles. Google News articles that include the schema ClaimReview markup or follow the “commonly accepted criteria” for fact checks will now have a “Fact Check” label in search results. This label may call users’ attention in the search results. Content publishers creating detailed and appropriately sourced content should implement this newly supported Schema markup. AMP reaches its one year anniversary. AMP has now been around for a year and has seen incredible growth. There are now over 600 million mobile AMP pages in 700 thousand unique domains. The AMP project has grown this quickly because of Google’s insistence as well as the support of top publishing sites that have gone AMP-friendly. These top sites include WordPress, Reddit, Bing, Ebay and Pinterest. Whether you like or not, AMP is here and it does not look like it is going away. If you publish content on your site, set up an AMP friendly version of the pages. Google’s new Patent focuses on knowing the location of users. Google has been granted a new patent, “systems and methods for generating a user’s location history”. Google hopes to move beyond GPS data in determining where its users are physically located. The patent discusses other sources of location data that can supplement GPS information. These supplementary sources include; search history, emails sent and received, photographs taken, request for directions, social media posts and receipts from mobile payments. While there will probably be a way to opt out of such data collection, Google hopes to be able to map out the daily routine of large portions of its users. Such detailed info would provide Google a method to provide more personalized search results, advertising and tools. Are these benefits to the user worth the cost of privacy? Not surprisingly, Penguin has had losers as well as winners. A number of webmasters volunteered their losses to Barry Schwartz on Search Engine Roundtable. There is no advantage in Googlebot crawling of HTTP/2 sites. 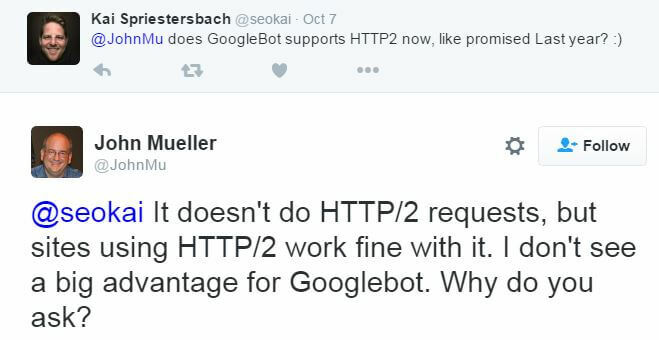 GoogleBot now supports the crawling of sites using the HTTP/2 protocol. However, there is no direct SEO ranking advantage for sites using HTTP/2. There is also no advantage in Googlebot crawling or indexation of sites using HTTP/2. For those using AMP on their websites (a good idea), you will not need to create a separate XML sitemap for your AMP pages. The rel=amphtml links is enough for Google to index the AMP pages of your site. Google not making machine learning the core of their algo anytime soon. Gary Illyes of Google explained that while machine learning is a helpful tool in their algorithm, it is not the core. RankBrain was introduced by Google to focus primarily on serving results for unique, novel queries. However, Google’s current manual algorithms are working well and there is no incentive to use machine learning. This is particularly true, when there is no clean data for a machine learning program to digest. It is unlikely that Google will make machine learning the core of their algorithm, at least not for now. 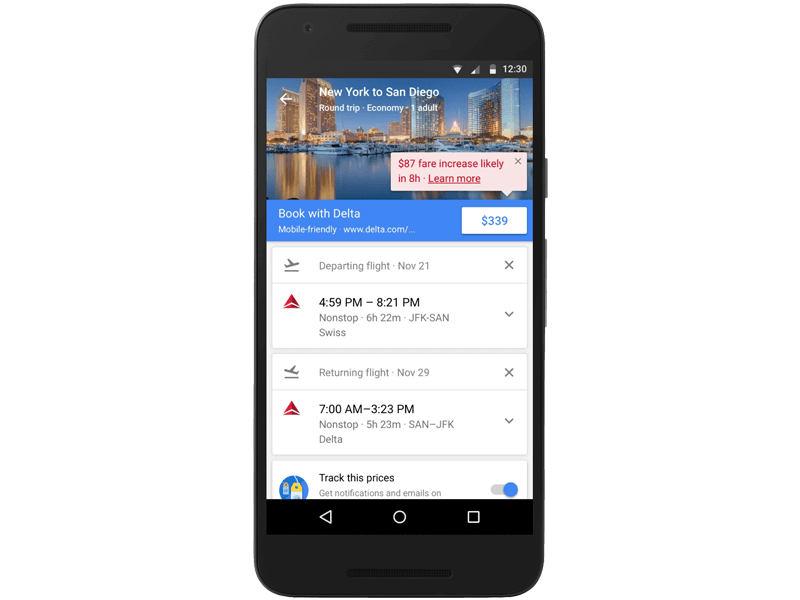 Google Flights adds airfare cost increases and hotel discount filter. Google flights now displays when a current airfare will expire for selected flights and the cost savings if a user books now. Tips will also be given to searchers on how to find the best fare. There is also a new filter users can use to filter for hotel discounts. Lastly, users are alerted when savings are available for hotel loyalty members. Google only looks at URL for HTTPS ranking boost. According to Gary Illyes, Google’s ranking algorithm only examines the URL structure in awarding HTTPS ranking boosts. More specifically, Google’s crawler only looks at the first five characters of the URL to determine if a site should receive the secure organic ranking boost. There is no validation of certificates or further site analysis. Google is planning on improving the qualifications for a ranking boost, but it is surprising they have not already done so. New Adsense Publisher Portal design is rolling out. 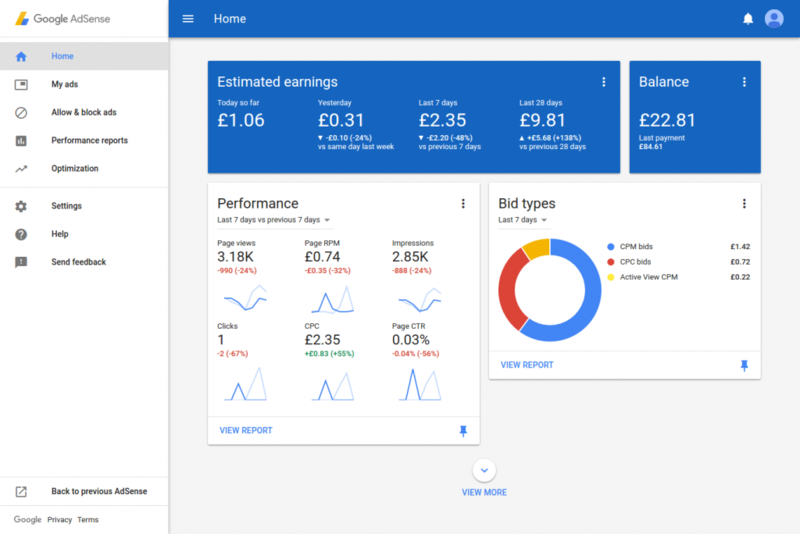 Google is pushing live their new design of the Adsense publisher portal. Similar to their redesign of Google Analytics, the new portal highlights relevant info in a simple clean layout. The new homepage is a stream of interactive cards that can be pinned to the top of the page or arranged in any way you like. The streamlined menu allows for easy access to different Adsense tools. 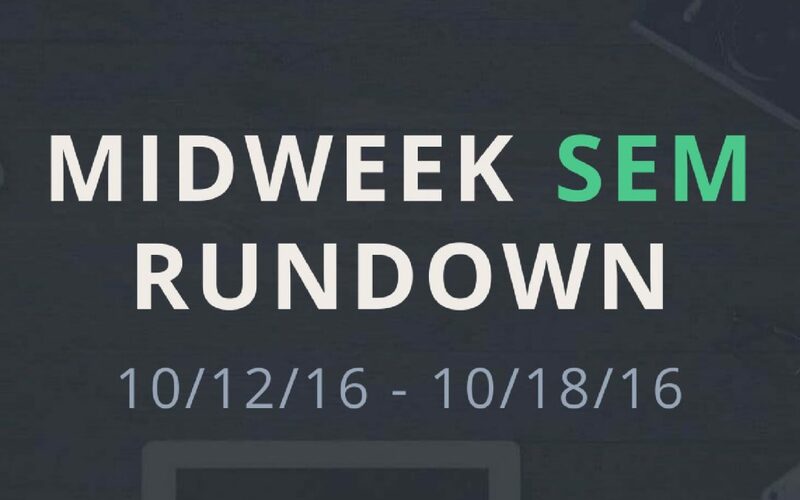 Deleting your Adwords account will not end campaigns. If you are tired of Adwords and want to stop advertising, deleting your account will not take care of this for you. Instead, your campaigns, as they were set up, will continue to run and you will be charged for the activity. You will need to call Google to get them to turn the campaigns off if you made the mistake of deleting your Adwords account. Yahoo artificially boosting their search traffic. Yahoo is currently bartering their purchase deal with Verizon. They have found a couple ways to improve their search engine traffic for expensive keywords. Yahoo is running unorthodox display advertising across the web. The ads don’t link to a product page but instead link directly to the Yahoo search results for that same keyword. Yahoo is also pushing traffic from their homepage directly to their search results. In the trending topics section they sneak in a couple expensive keyword terms like “secured loans” and “MBA programs”. Normally clicking on a trending topic link from the homepage would bring you to Yahoo articles on the topic. Instead, these top keywords link directly to Yahoo’s search results for the terms. Will this manipulation of search traffic affect Yahoo’s deal with Verizon? We will have to wait and see. 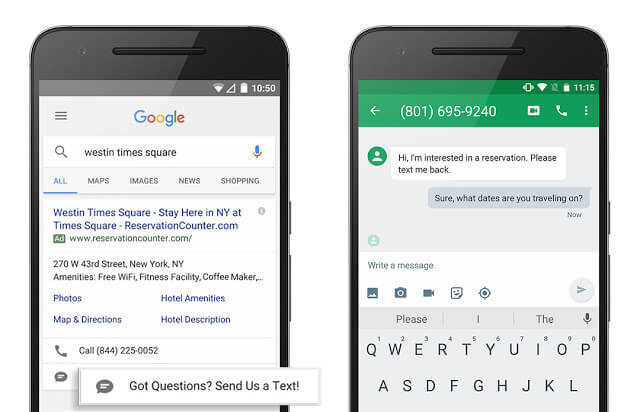 Google Adwords click-to-text message extension leaving beta. Google has been testing an Adwords ad extension that replaced the click-to-call text in ads to click-to-text. When users click on the new option their SMS app will open automatically, where searchers can be greeted by initial text by the advertiser. This new option can be set at the campaign and ad group levels and can be set to run only during certain days and hours. The new format should be rolling out globally over the next few weeks. For those interested, Google has updated their best practices guide. Google testing unique ad notes in local vehicle ads. In Google’s local 4-pack ads a bit of text “Nearby businesses” is displayed above the ads. Google is testing a variation of this text. For branded vehicle searches like “honda dealer Austin” Google replaces the normal text with “Honda dealers nearby”. This replacement varies based on the brand requested. A search for “ford dealership edmonton” will result in ‘Ford dealers nearby”. Google is currently only testing this adjusted text with car dealerships but may expand the customization to other verticals in the future.